When you make the decision to have a baby it’s natural to want things to happen immediately. For the majority of women, pregnancy isn’t so easy. For starters, there’s only a 12-24 hour window when an egg can be fertilized. There are plenty of factors along the way that can make fertilization and implantation of the egg easier or more difficult. Each month that passes without pregnancy can be more frustrating and dejecting than the last. If you’re over 35 years old and you’ve been trying more than six months or you’re younger and have tried for a year it’s time to seek assistance. You may discover there’s an underlying problem that can’t be fixed by simply trying harder. Some factors, like age, are out of our control, but there are many infertility issues that can be resolved or improved with the help of an assisted reproductive technology (ART) specialist. Below is a list of options that may be offered when natural conception is difficult or impossible, depending on the underlying issue. 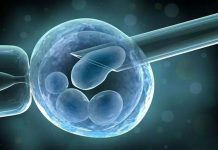 The fertility experts at YourFertilityFriend.com note that IVF is usually the first option when fertilization is an issue due to a number of factors, including blocked fallopian tubes and some genetic disorders. Instead of leaving things to chance, doctors can extract a viable egg from the woman and sperm from the man and combine them in a laboratory setting. If the egg is successfully fertilized it’s then transferred to the woman’s uterus for implantation. IVF is one of the most effective forms of ART. It’s been used for 37 years and results in millions of live births. Before offering IVF, a specialist may first recommend artificial insemination. This ART technique involves manual insertion of sperm into a woman’s uterus or cervix. It’s commonly used when the partner’s sperm is found to be less mobile or low in count. With artificial insemination more sperm is able to reach the fallopian tubes, increasing the chance of fertilization. Some women ovulate regularly every month, but others have problems developing and releasing an egg. Often the issue is hormone-related and can be corrected through ovulation stimulation, also known as ovulation induction. Your doctor can prescribe medications that help regulate hormones and improve ovulation. The medications that are used will differ based on where ovulation hang-ups are occurring. There are medications that can develop more ovarian follicles as well as medications that can promote the release of eggs in mature ovarian follicles. When a woman has viable eggs but there are problems with supporting the pregnancy in utero surrogacy may be the only option. This is when IVF is used, but instead of the fertilized egg being inserted into the mother it’s transported to a surrogate, a healthy woman who’s been prescreened to ensure she can support a pregnancy. The surrogate carries the baby to term, but genetically speaking she’s not the mother and has no claims as a parent. If you’ve been trying to get pregnant for months or even years it can seem too good to be true when it actually happens. Some women hopefully hang on every possible pregnancy symptom while others ignore the signs of pregnancy thinking the odds aren’t in their favor. High Basal Body Temperature (BBT) – If you track your BBT one clear sign of pregnancy is increased temperatures. Your BBT fluctuates throughout your monthly cycling, rising after ovulation. If you become pregnant the temperature will remain elevated or get higher. But if you don’t get pregnant the temperature will peak several days after ovulation and slowly come back down until menstruation. No Menstruation – Another obvious sign of pregnancy is not menstruating. Every woman is different and cycles can fluctuate every month. But if you are more than two days past when you expected to menstruate it’s time to take an at-home pregnancy test. The test Even though some tests can be taken before you’re supposed to menstruate, you’ll get the most accurate results after you were supposed to have your period. In-Office Pregnancy Test – The most surefire way of determining pregnancy has occurred is getting tested by your primary physician or gynecologist. The in-office test is more sensitive than at-home pregnancy tests and can be verified by other means. Previous articleMissed Your Period? 6 Early Pregnancy Signs And Symptoms To Look For!